The circle is over 3,000 years old and the stones are dolerite from Stapeley hill. The tallest stone was probably one of a pair that made up the entrance to the circle. There may originally have been a central stone. 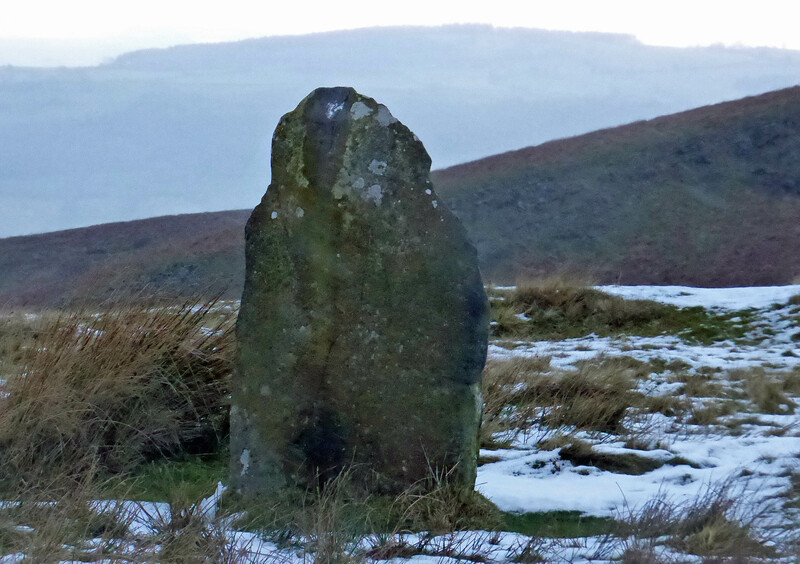 In fact the legend of the witch of Mitchell’s fold may in part have been an attempt to explain why there was a central stone. I should at this point make it clear that the figure in the photograph below is not a witch, it’s my wife. Stop sniggering at the back, there. So perhaps I should tell you more about the legend, if only because it goes some way to explain the name Mitchell’s Fold. The name derives from the Old English word micel (large) – the Scots terms mickle and muckle (as in ‘many a mickle makes a muckle’) has the same derivation. Roy Palmer tells us* that in a letter written in 1752, one James Ducarel told his brother that ‘Medgley’s Fold’ was the place where ‘a great personage, I believe a Giant, used to milk his cows.’ In just a few decades, the story had mutated to the much better known tale recounted by Thomas Wright in On the Local Legends of Shropshire in 1862. Another version of the tale says that the witch was angry with the cow because it relieved the famine where her own spells had failed, but the people of Priest Weston had made butter and cheese from the milk and were able to survive until the drought finally ended. The white cow is said to have turned into a dun cow (the Dun Cow of Dunsmore Heath) and run away, eventually to be killed by the Earl of Warwick. The Dun Cow, a pub in Abbey Foregate in Shrewsbury, is said (like many other pubs of the same name) to get its name from this story. Here are some photographs of the surrounding area, rather than of the ring itself. Another view to the West. The featured view to the West includes the tiny car park nearby, and the lane leading back to the road to White Grit and Priest Weston. 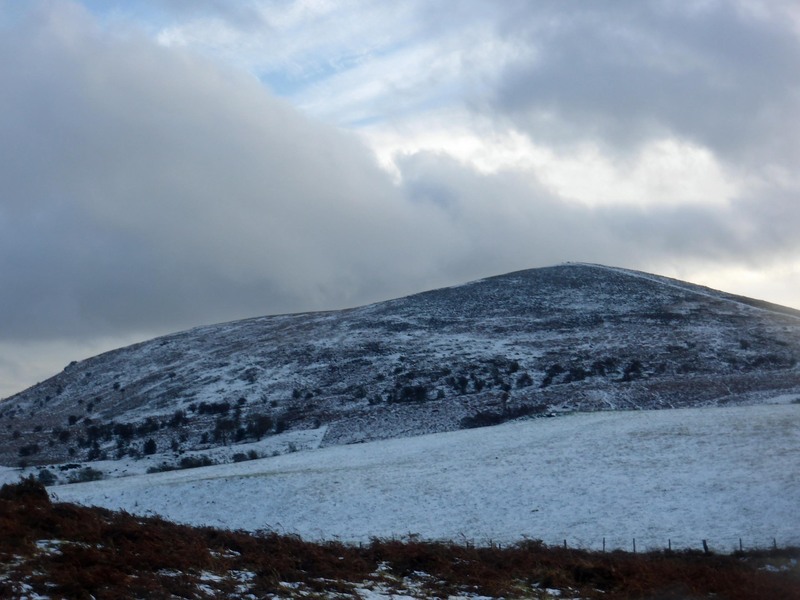 *Roy Palmer’s excellent book The Folklore of Shropshire is published by Logaston Press. 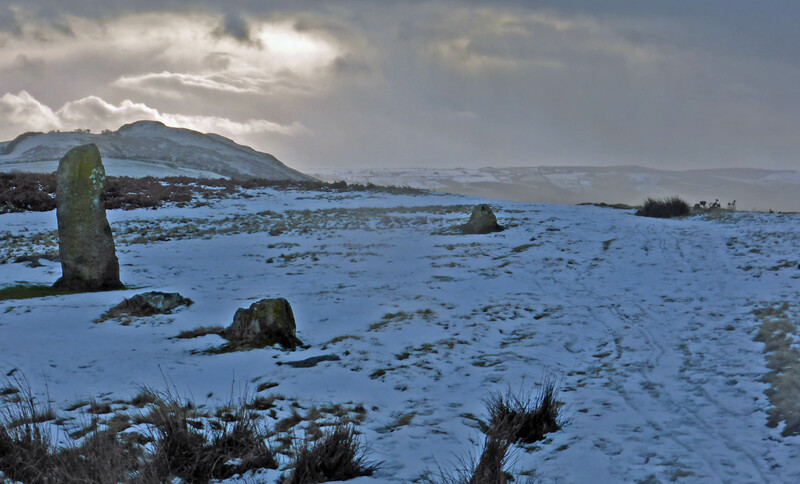 This entry was posted in photographs and tagged Mitchell's Fold, Roy Palmer, Shropshire, stone circles, White Grit. Bookmark the permalink.